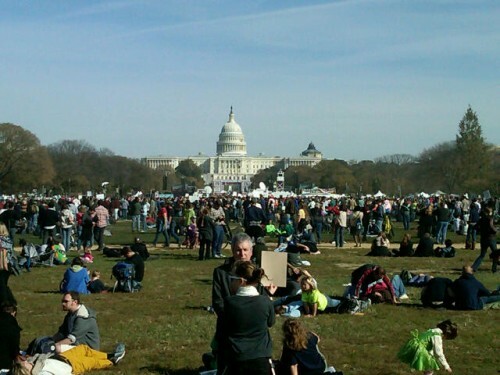 PoPville » Restore the sanity! Thanks to a reader for sending in the shot above. Could not have had better weather. How were your experiences? If anyone got some good photos, be sure to upload to the PoPville flickr pool here or you can send in an attachment to princeofpetworth(at)gmail(dot)com. The crowds were insane. I’m looking forward to hearing your stories!